James Johnston: where are the economists with vision to end the world’s dangerous drift? One of the joys of being a parent is the chance to help your children grow, and to encourage them to have confidence to take an approach to life that fosters engagement, develops understanding, engenders tolerance whilst creating a thirst for learning. A model of an iconic RAF aircraft that sits in a Forres memorial park has been removed for some much-needed refurbishment. This week started with the great story of a very ordinary man from Sheffield who has made the difference for 10 families and a grateful United States of America. When Michael Mellon was medically discharged from the military after having his leg amputated he "thought his life was over". Leadership means different things to different people, but it is something that we 'bestow’ on an individual to make the difference. I love travelling the A9 – I call it my thinking journey. Many consider the A9 a ‘dangerous road’; in my view the road itself is not. The air force is poised to make a surprise return to a Moray military base – six years after moving out. The final Piping at Forres proved an irresistible draw for some performers to perform at for the last time. A Moray visitor attraction that was owned by the council has been handed over to aviation enthusiasts to help them expand. A team of 72 wounded, injured and sick military personnel will represent the UK in Prince Harry’s Invictus Games in Australia. A former airman has claimed that working with dangerous chemicals at RAF Kinloss has caused him to develop cancer. The US Navy will “routinely” base its spy planes at RAF Lossiemouth as the Moray base develops its own fleet tasked with patrolling the North Sea. An engineering expert, who served in the RAF for more than 20 years, has urged Transport Scotland to rule out a southern bypass of Elgin – describing it as a “nightmare scenario”. The 120 Squadron began life in 1918, but achieved its greatest success when it was reformed during World War II. Soaring melodies have been played aboard a collection of vintage aircraft in Moray by touring musicians aiming to spread the wings of music. A Moray signing group has made a poignant donation after one of their members' husband was given a new lease of life by medics. A Moray military wife is singing the praises of the nurses who helped her husband through a life-changing kidney transplant operation. Angus Robertson has been told to apologise for "whipping up rumours" about a possible closure of RAF Kinloss. Defence secretary Michael Fallon yesterday revealed he would make an announcement on the closure of military bases "very shortly" - as he repeatedly refused to guarantee the future of Fort George and RAF Kinloss. 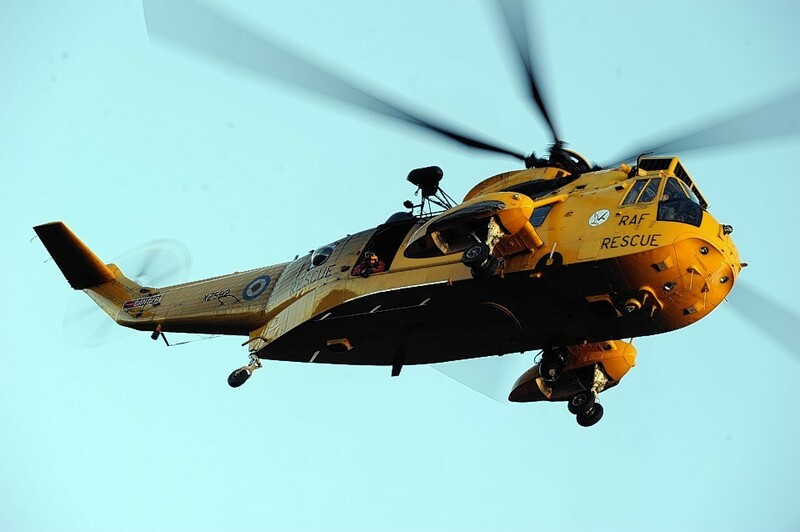 Flying aces who honed their skills at the former RAF Kinloss base are poised to return to the region when a fleet of new spy plans arrive. A man who served as the drum major and chief technician with RAF Kinloss has died at the age of 87. Kinloss Barracks facing closure just four years after it was axed as an air force base should not be a surprise, according to the final RAF commander there. Typhoon jets have returned to Kinloss for the first time since the RAF base closed five years ago. The latest addition to a visitor attraction's collection has already proved to be a big hit. A Moray woman has opened her heart about the death of her father, an RAF hero, nearly a decade on from the Afghanistan crash that claimed his life. RAF Lossiemouth is to come the base for a new fleet of maritime patrol to help bolster Britain's national security. Fresh hopes have been raised that the UK Government is planning to finally replace the scrapped fleet of Moray-based Nimrod aircraft. Veteran rugby players will converge on Moray this summer, as they roll back the years with charity rather than championships in mind. Nicola Sturgeon has agreed to head up a cross-party campaign to save a vital Scottish search-and-rescue co-ordination centre.